Because of the “Dam Hearing” (info below) we are delaying our CREATE meeting to 7 p.m. this Thursday, Dec. 15 and will keep it to one hour. The CREATE meeting will be held at the Blue Scorcher. WHERE: The Red Loft Building, located at 20 Basin Street, Astoria, OR. 3:30 PM – Please join us for information and refreshments at: Bridgewater Bistro in the Red Loft Building, 20 Basin Street, Suite A, upstairs above the restaurant. 4:30-7:00 pm – Return at will to Bridgewater Bistro for complimentary coffee, tea, snacks and talk. Alternate beverages can be purchased at the Bistro Bar downstairs. 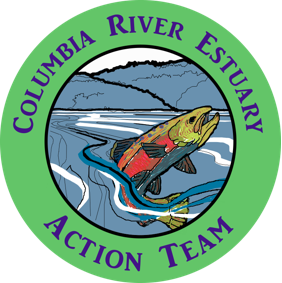 On Wednesday, Dec. 14, the evening before our CREATE meeting, the Clatsop County Commission will be taking public testimony regarding staying in or opting out of the Linn County lawsuit. The meeting starts at 6 p.m. at the Boyington Building at 9th and Commercial. The public input is agenda item 7-e. Attached you will find Peter Huhtala’s written comments, pertinent testimony from Tom Bender and the county manager’s explanation of the agenda item. You’ll find more information here and here. FANTASTIC NEWS, FELLOW PETITIONERS! SO FAR WE HAVE OVER 90 PETITIONERS CALLING FOR CLATSOP COUNTY COMMISSIONERS TO OPT OUT OF THE LINN COUNTY CLASS ACTION SUIT! PLEASE DON’T STOP HERE!! WE NEED TO HEAR FROM FRIENDS, FAMILY AND NEIGHBORS SO PLEASE SEND THEM OUR LINK!! EACH SIGNATURE CLICK IS ONE MORE PERSON ADDED TO THE CLATSOP COMMISSIONERS’ EMAIL INBOX. IF WE KEEP THIS UP THEY WILL HAVE QUITE A SURPRISE NEXT TIME THEY OPEN THEIR EMAIL! LET’S SHOW OUR RESOLVE IN NUMBERS!! KEEP OUR PETITION ROLLING!! YOU ARE ALL MY HEROES!! Here’s the link to the petition. We have a design for a CREATE logo from Susan Swanby, who designed the last version of our red NO LNG t-shirts. Do you know another artist who might help us come up with another 1 or 2 designs, preferably w/ a computer? Please let me know of anyone you know who might want to donate a few hours to this project. Another agenda item is the Women’s March, in Astoria on January 21, in conjunction w/ similar marches in DC and other cities the day after the inauguration. We’ll have a broader statement to share with CREATE.